Bedok has always been my self-declared food territory because of the numerous stalls that never fail to gain my (gluttonous) support. For over two decades, I’ve watched Bedok Interchange Hawker Centre go through major design modifications, as well as the inevitable change when stalls come and go. It’s hard to say goodbye but for one stall, the odds have proven to be no obstacle. For Inspirasi, it goes beyond just running a business. Established in 1970, this family-run stall’s storefront is plastered with accolades. Their line of hungry customers runs so far back that it doubles back on itself. It’s always been this way every time I’m here, and it’s easy to see how they’ve maintained a solid following. With only four options to choose from, they pride themselves on quick and hearty meals. 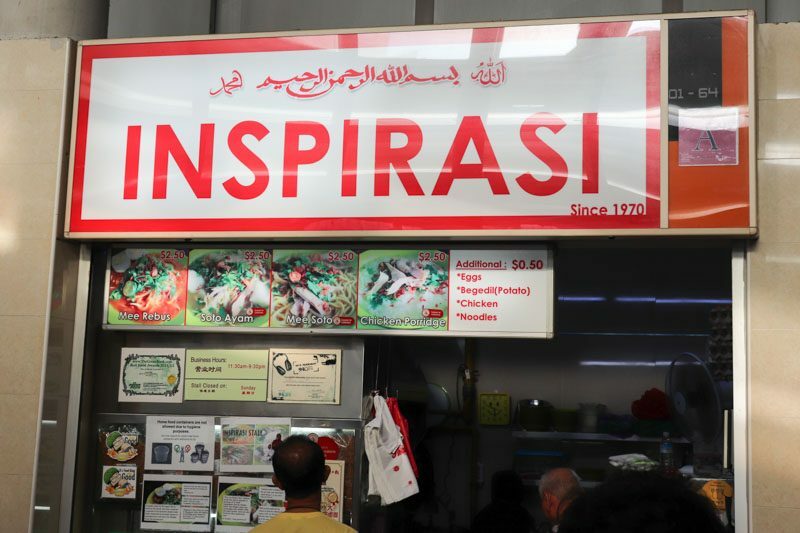 And take my word for it – Inspirasi is truly the place to be for authentic Malay fare. The team behind Inspirasi are rather laid back, so their opening hours and days tend to vary. To be safe, drop by around mid-afternoon when it’s less crowded and more likely to be open for business. Don’t be daunted by the queue when you arrive. Since most components of their dishes are all prepared, it won’t take more than a minute for your food to be ready once you order. 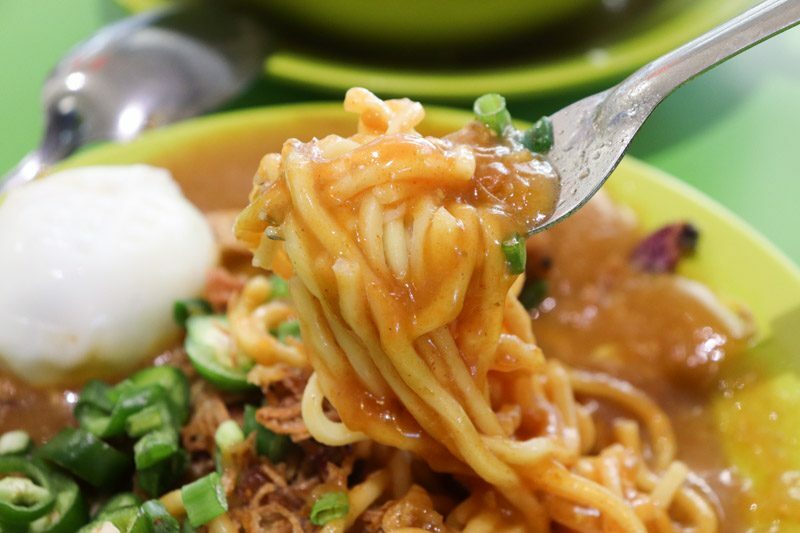 I had to order the signature Mee Rebus (S$2.50). I added a side of Begedil (fried potato pancake) (+S$0.50) because the dish simply isn’t complete without this delectable snack. 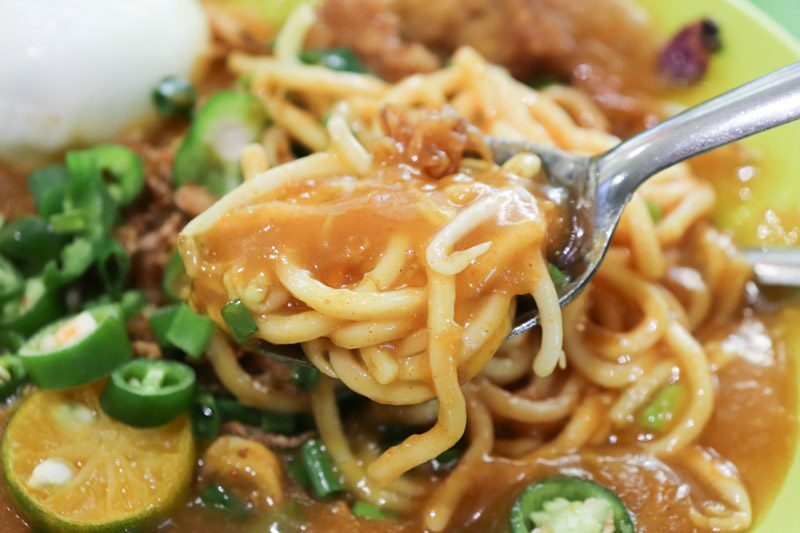 Mee Rebus is a classic Malay dish, with mee (yellow noodles) doused in a rich gravy. Inspirasi plates their rendition with a hard-boiled egg, half a lime, fried green chilli slices and fried shallots. 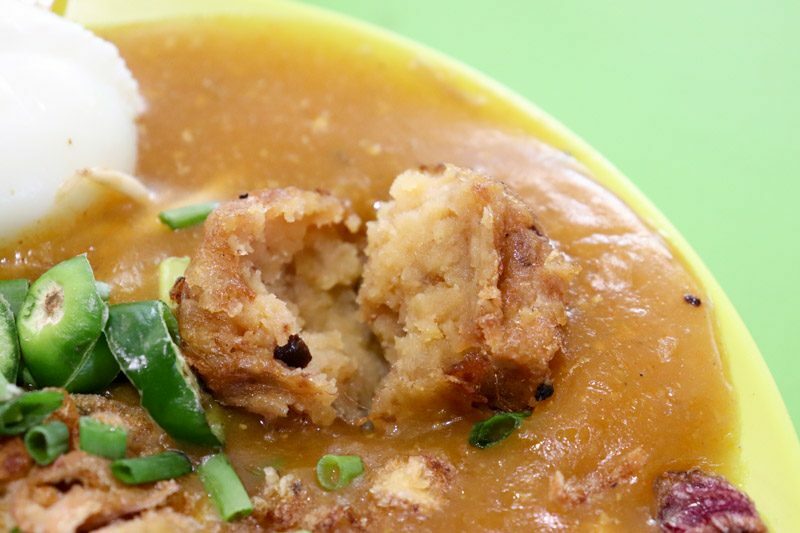 Made with potatoes, curry powder, ikan bilis (dried anchovies) and soybeans, and a few secret ingredients, the simple gravy was the true highlight. The starchy gravy had just the right consistency, with a perfect balance of sweet and savoury flavours. The noodles paired so well with the thick, luscious gravy that I was gobbling mouthful after mouthful. The added crunch from the crispy peppers and shallots also introduced a firm texture to the comforting meal. Remember to squeeze that lime for some zest! The portion served is much smaller than you’d expect but at its price point, I found it rather promising. 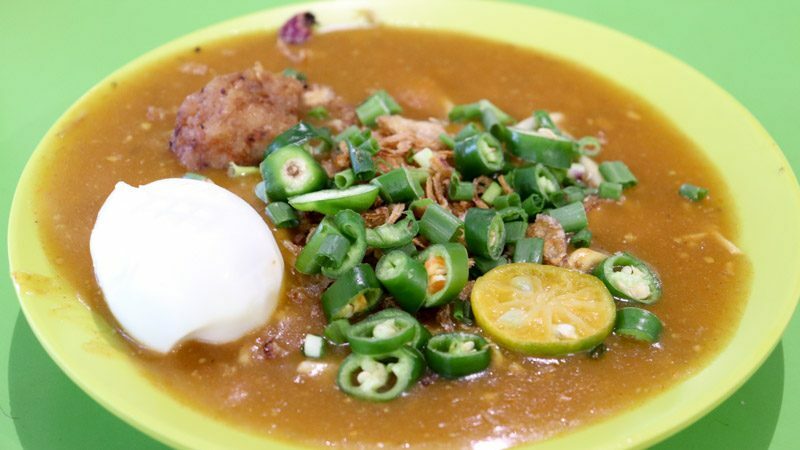 When my mother started eating at Inspirasi, it was a mere S$1.50. The slight increase over two decades is a huge feat, considering rising costs. The hard-boiled egg was a necessary staple to the dish but I wished they would have sliced it in half. Of course, you can’t miss out on their signature begedil, which is the size of a ping pong ball. This appetising carb was well-seasoned and maintained a light and crispy exterior. If you find yourself at Inspirasi, this is all you need to make your dish complete. 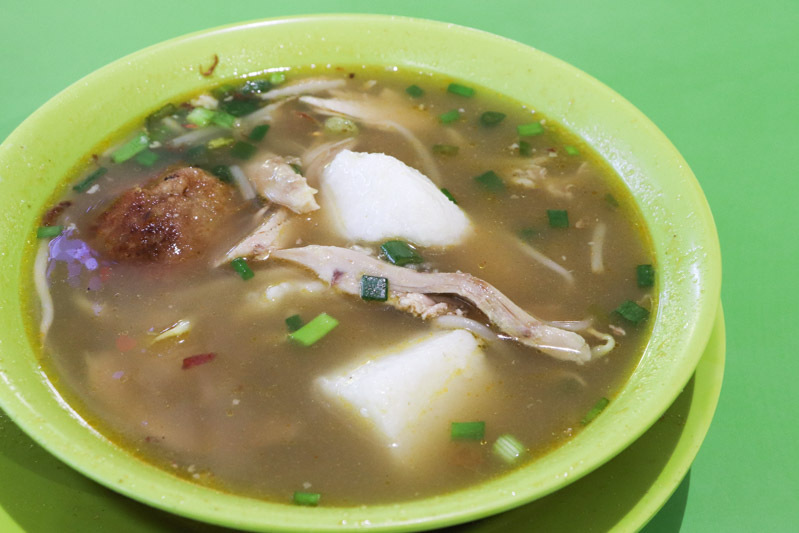 The Soto Ayam (S$2.50) is one dish that I guarantee will win your heart. Chunks of nasi impit (compressed cooked rice) and exceptionally tender pieces of shredded chicken are doused in a turmeric-spiced broth. The hearty broth was rich, earthy and simply exemplary. The sweetness of the chicken bones had fully integrated into the stock which was boiled for 12 hours. Super addictive! If there was one thing I had to pick on, it’d be the lukewarm temperature of the soup. I prefer a hot, piping bowl of soup and this one just didn’t make the cut. 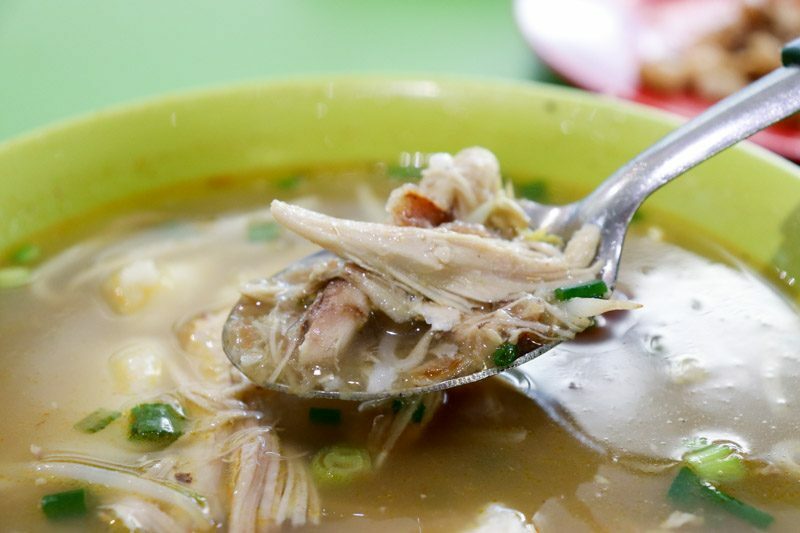 What is Soto Ayam without the ayam (chicken), right? The fork-tender shredded chicken was easily the highlight of the dish. These supple slices was pillow-soft and almost melts in your mouth. Despite the generous portion of chicken, I greedily wished there was more. Trust me, this is something you should be selfish and protect at all costs because it’s simply too good to share! 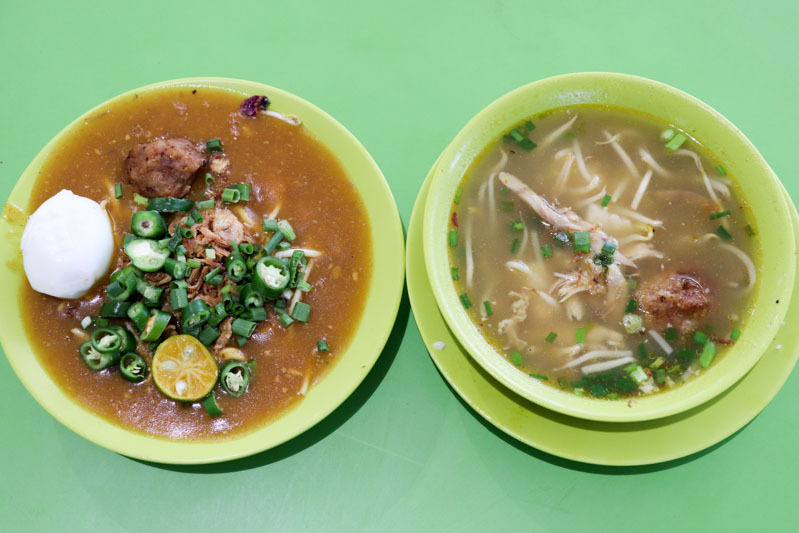 At Inspirasi, this traditional Malay soup dish uses nasi impit as a choice of carb instead of noodles. 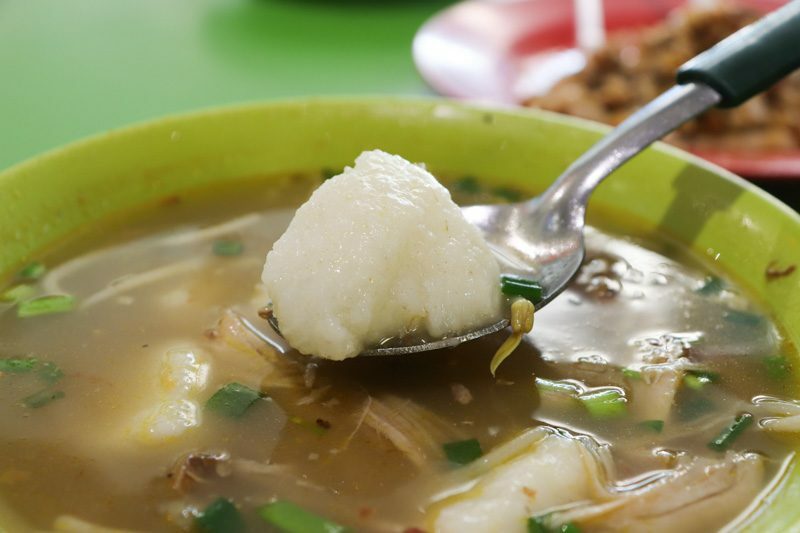 The compressed cooked rice chunks are often found in other dishes such as lontong. The nasi impit usually sells out really fast, so you’ll need to get there early. 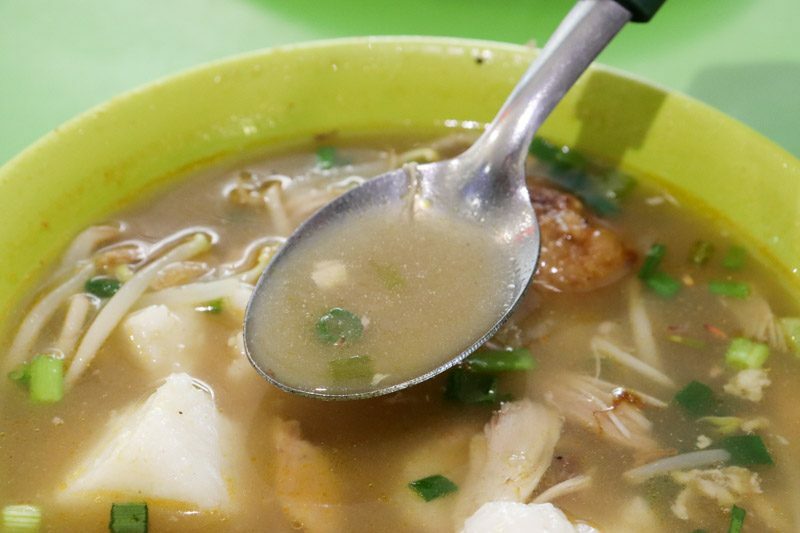 This staple doesn’t hold much flavour but more importantly, it had a good chewy texture and complemented the soup. But I’m sure anything would have tasted good with that broth. which had me slurping everything up to the very last drop. 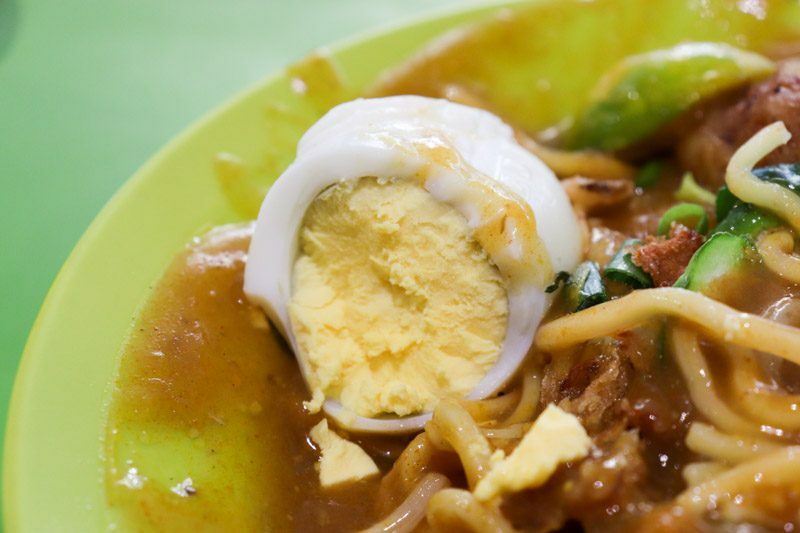 Aside from the portions, the Mee Rebus and Soto Ayam at Inspirasi tasted the best to me. Just remember, you’re probably going to need more than one bowl when you’re here. Best to go alone because you’re not going to want to share. Seriously.